Curious employees of the Binh Son Rubber Plantation have taken to visiting a house by a brook that borders their workplace to observe a white-bearded old man using tons of clay to make rather large statues. They call him “Statue Man”. We decided it might be a good idea to pay the occupants a visit, so recently we trekked down to the house to meet the sculptor Truong Dinh Que and his artist wife Phan Gia Huong. A few years ago, they sold their house in "Press village" in Ho Chi Minh City’s Thu Duc District, and bought the small yet special piece of land by the Nhan River they now call home. With the rubber trees on one side, the river on the other, and small waterfalls in abundance, it is just so picturesque, even romantic. It’s a great environment for working hard and lavishing love on artistic creations. 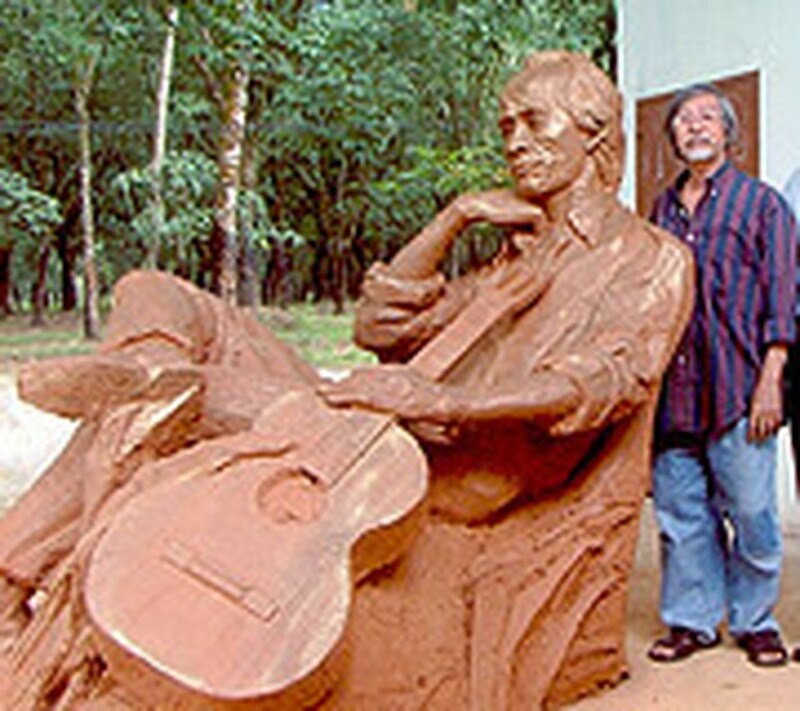 “Statue Man” has just finished molding a statue of the late composer Trinh Cong Son sitting with his guitar and seemingly engaged in deep thought. 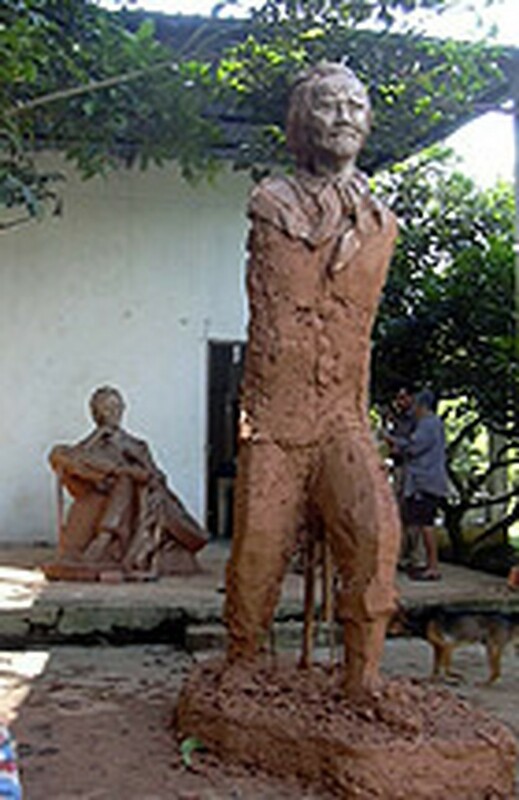 Next to the revered songwriter stands an unfinished statue of the poet Bui Giang. Unlike the meditative Trinh Cong Son, Bui Giang is all action: covered with a rain coat, holding a stick, his beard waving in the wind. He is not lonely at all. He is accompanied by a dog, a monkey sits on his shoulder, by his side are a bottle of grog, a cat, a rooster … it looks like Bui Giang is stepping out on the road to eternity. Both statues are being made to order for some company. For now the two deceased artists are staying in the forest waiting for the bronze layers that will make them complete before taking up permanent residence at Rach Chiec in District 2.